He admits that the crowd of over 8000 at the first ever rally of Aam Aadmi Party was impressive. But, with experience, Goa’s Chief Minister Laxmikant Parsekar says it doesn’t translate into votes. “When we started 25 years ago, the BJP was pulling bigger crowd than this to listen to Atal Bihari Vajpayee and Lal Krishna Advani. But votes were merely in hundreds, making us lose our deposits”, he recalled. The BJP emerged as a force to reckon with only after the Babri Masjid-Ramjanmbhoomi nationwide row. The saffron party contested 1991 Lok Sabha election with Manohar Parrikar and Shripad Naik as candidates, garnering hardly 15 to 17% votes. However, this helped them make a debut in the Goa Assembly with four MLAs in 1994, by forming alliance with panic-struck Maharashtrawadi Gomantak Party. Parsekar himself entered Goa Assembly in 2002, after losing first election in 1999 from Mandrem to MGP’s Ramakant Khalap. According to three-time MLA-turned-CM, AAP will only damage prospects of some opposition parties but won’t win a seat. Vinay Tendulkar, his state president, has in fact given an open challenge to AAP to save deposit in a single constituency. AAP leader Arvind Kejriwal has already announced that it would contest all the 40 seats in the forthcoming Assembly election. “They have to work consistently for five years to win the election. 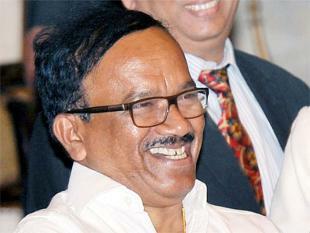 Coming here eight months before and claiming a victory to form the government is a mere dream”, said Parsekar today. He however welcomed AAP in Goa as yet another party though he firmly believes that it would not damage the BJP in any way. Your simplicity and clear approach may help your party to win election as under thr leadership of mr Parrikar Goa got some real developement and vision for development. But dont be overconfident as you have not yet realised people's heart. Try to know people's heart by Meditation and you will realise many thing yourself. Times have changed . Modi became Prime minister by extensively campaigning for 1 year before election. BJP won elections only due Anna Hazare anti curruption crusade and Public awareness of Corruption. this put the then Manmohan Singh goverment in the ICU. BJP took advantage of this situation and got elected. Mr Parsekar lets see how many Votes you and your Party receive next election. Donot under estimate Peoples power. Its better for you all to hang you boots after next election. absolutely right dummy CM..during the AAP MEETING Chicken lollipop/xacuti,Omlet pao,,sarees,booze was not given. CM indirectly says his goodies to people just hours before elections will turn into their votes.and then another 5 yrs of hell and garbage rulling goa.Goa will not be free from garbage.